On Schedule, good service, highly recommend this company. Very efficient and knowledgeable. Will use again if needed and highly recommend. I requested service from a exterminator via Thumbtack and Felix responded within 10 minute of my request. He was able to provide same day service and was very professional and responsive. I would highly recommend Life Pest Control for your exterminating needs. The service that was provided was great!! Got rid of all the nasty bugs with instant results Highly recommended! The gentleman that showed up to My place was very prompt and profesional. He succeeded at taking care of My bug problem in one day. I highly recommend this service and company!!! Very courteous! Very responsive! I love to support local business and when they are as knowledgeable and friendly as this company it makes it easy!! Great job! It was great to deal with the owner directly and have the service done by him as well. Other companies just dispatch whoever is available to your house, which I don't like. Definitely a plus to have someone you trust in your home, and not someone new every time. Great service! Great service and very professional. Highly recommend! We've used Life Pest Control and they are great! I wouldn't have any other company treat my home. They are on time, quick, clean and efficient. 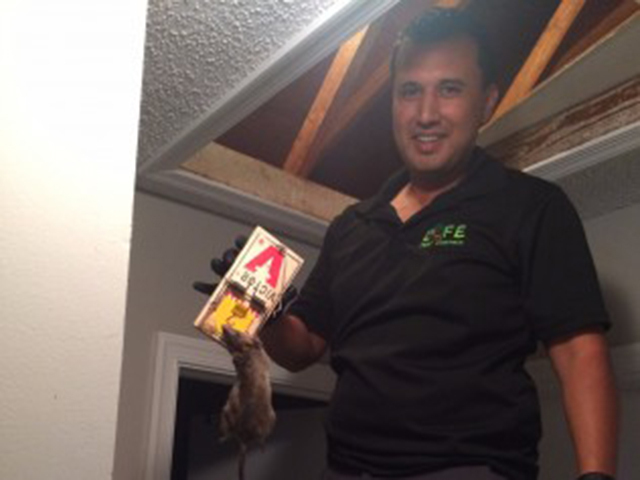 My home is pest free thanks to Life Pest Control! They did an excellent job. I couldn't be happier. Took care of everything and did it in a timely manner. Their prices are good. I would definitely check them out. The best in the business. I had a rat in my attic he showed up super fast on an emergency call at 9pm. The technician Felix took care of the problem in no time and my family was back to sleep safe and sound. Highly recommended to family,friends and business clients.